It's Monday Friends! To help brighten up the first day of your work week, I have a sweet little holiday smile to share with you today! 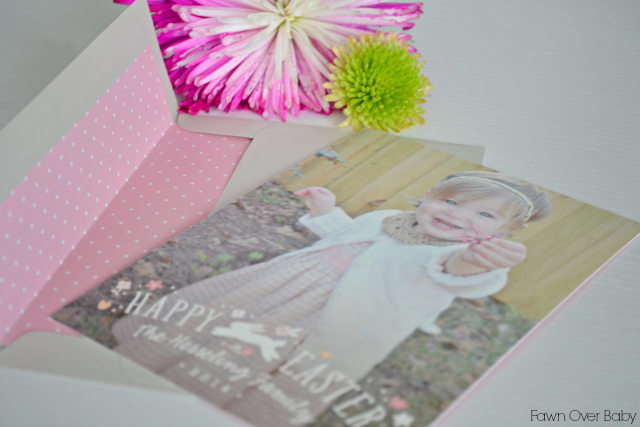 With Easter just a few weeks away, I started early on getting together our greeting card. Thanks to the wonderful and amazing Minted.com, the process was easy and fun! Minted. 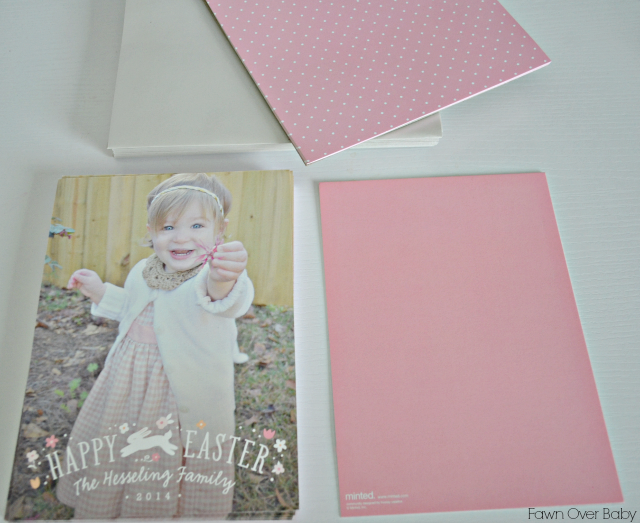 is one of my favorite sites to browse for my stationary needs for any occasion! 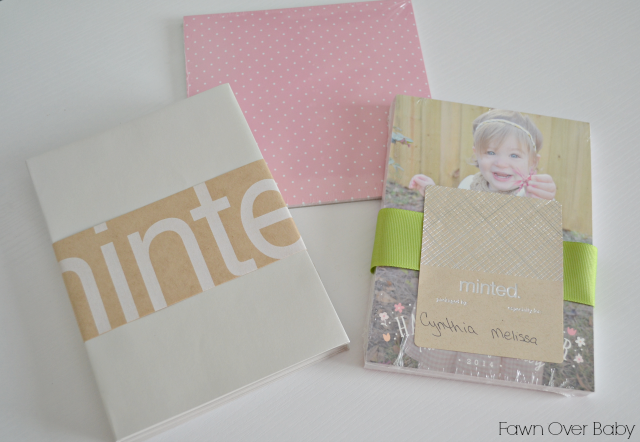 They are known for their fabulous indie-designed Birth Announcements that can be customized to include a photo of your new arrival as well as your preferred color scheme, all surrounded by a stylish design that is exclusive to Minted.com. What makes Minted. so unique is their mission to "find exceptional artist and designers from all over the world and bring their work to consumers who appreciate great design." They offer independent designers a chance to showcase their talent by submitting their work to produce unique and exclusive prints that you may not find in traditional retail stores. Not only does Minted. offer the most chic and worldly designs that just so happen to be printed on top-of-the-line luxurious signature paper, they allow you to customize your chosen design through their Personalized Designer Tool. There you are able to customize font, color and layout of your draft, allowing the outcome to be uniquely you. 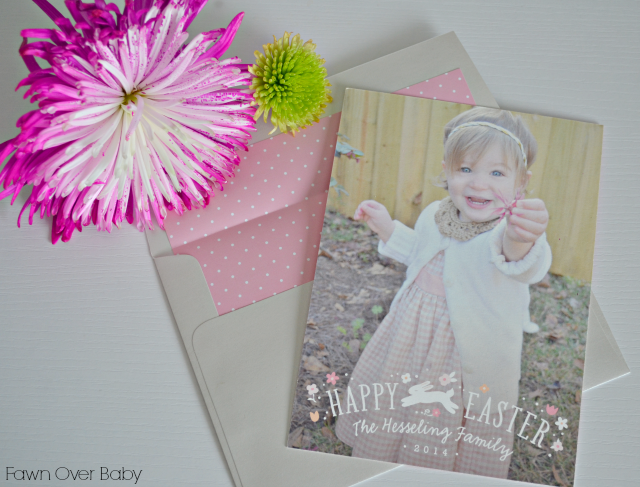 When it came time for our yearly Easter Card, I couldn't wait to browse all the fun and festive options that Minted. has to offer. I decided to go with this simple and sweet design. 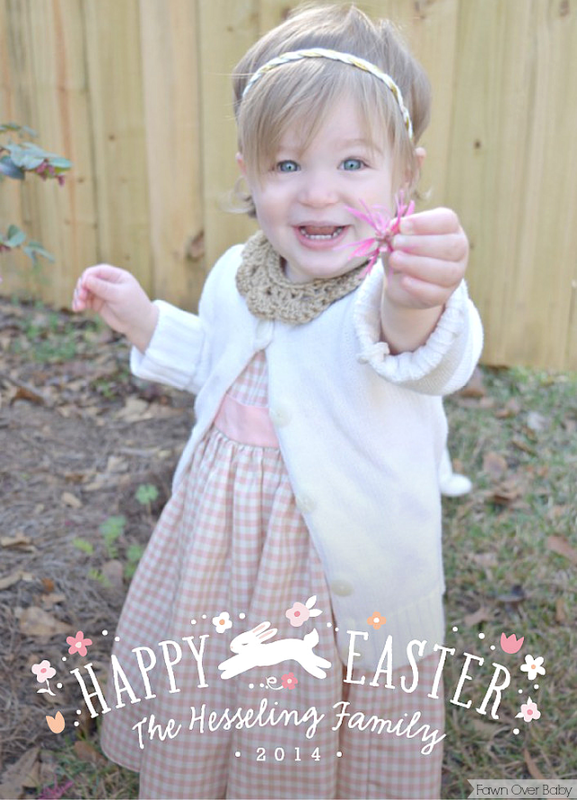 It coordinated perfectly with this photo I took of Kenzie trying out her new Easter outfit. I left the design as is and just added our family name, a pink color on the back of the card as well as added the cutesy pink polka dot liner for my envelopes. After my order was approved, Minted. kindly sent me this sweet little virtual proof while I waited to receive our actual cards in the mail. 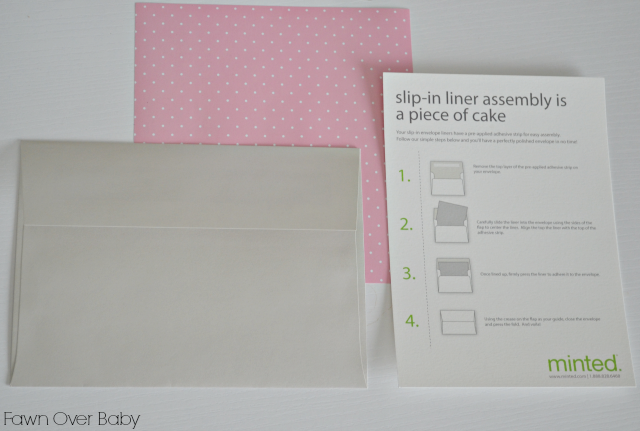 I received our photo cards, envelopes, liners and an easy step by step on how to assemble the liners inside each envelope. 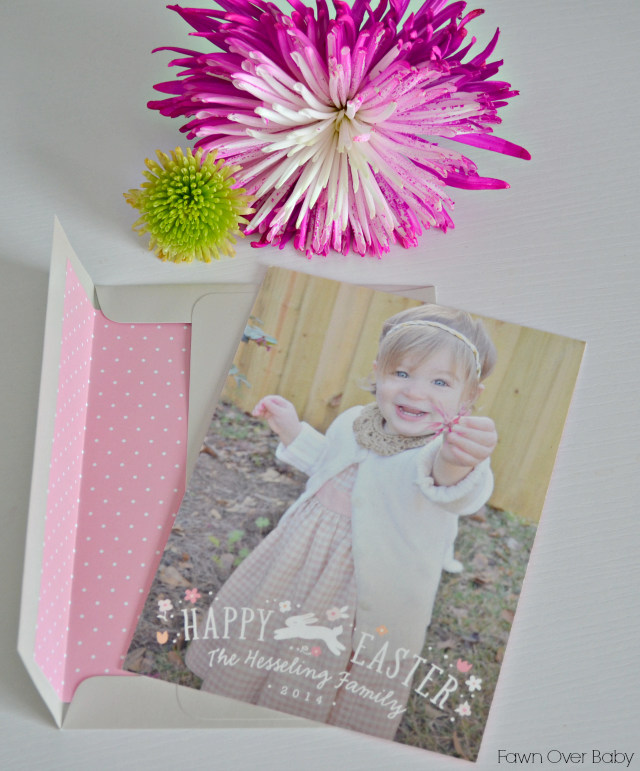 Once again, I am thrilled with how adorable our cards turned out and the quality continuously remains top notch! There is still time for you to become Minted. Stop by today and browse their amazing design collection for your occasion of choice, you will not be disappointed! Be sure to partake in their 6 year anniversary celebration and take 15% off your entire purchase with code: 6YEARS! These are absolutly adorable, yet still look very professional. I will be making my way over to their website and ordering a few things. Thank you! They are very high quality and so fun to put together!